Work No. 515; Little Hitler.. The wee bastion of authority keeps immaculate record. 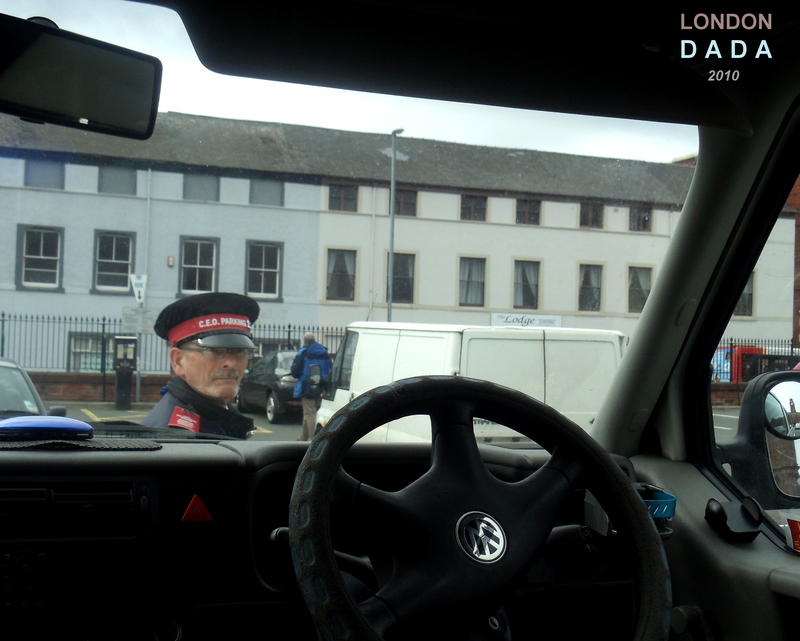 This entry was posted in Uncategorized and tagged Little Hateler, Traffic warden by Michael St.Mark. Bookmark the permalink. Good day! I just want to give an enoruoms thumbs up for the nice data you could have here on this post. I might be coming again to your weblog for extra soon. A perfect ‘shooting’ Mike, and yes folks he is as short as he looks in the photograph! As Mike said he is very well known in the local area and not for his wit and friendly conversation either 😀 He has an amazing ability to appear in quite different locations seemingly within seconds, there is no escape i’m afraid! Probably one of the most pointless jobs in western Christendom. To do it with zeal is obviously the manifestation of some frustrated power junkie. He looks like the end result of putting ON THE BUSES’ Blakey in a traffic warden’s uniform. A shorter meaner Blakey, yes. The blogger Brianna says he reminds her of that army sergeant-like screw forever on the back of Fletcher in the TV series Porridge. Ah, the dreaded Mr McKay. Imagine HIM as a traffic warden. Yes he IS the type. Officious. Explain how this pic fits? I like a VW. A veritable bastion of unbending authority within his grubby little zone of jurisdiction. People like this CEO (a terribly ironic set of initials for someone who will NEVER be a Chief Executive Officer) are often acutely conscious of just how small they are. The only thing they can be sure of is their own inadequacy. Be kind to him – but don’t give him an opportunity to ticket you. Of course I should have added: “and be kind to all the other ‘hims’ around the place. There are lots”. Could ‘him 1’ see the photographer preparing to shoot him? So, now a quick note to a couple of bloggers, then a pot of tea.